Scott Silveri, creator and executive producer of Speechless, has a message for viewers. “We’re not too good for you,” Silveri says, laughing, during a recent interview with Paste. The ABC comedy, loosely inspired by Silveri’s life growing up with a brother who has cerebral palsy, follows the scrappy DiMeo family. Eldest son JJ (Micah Fowler) has cerebral palsy and uses a motorized wheelchair. He communicates via an alphabet board and his aide, Kenneth (Cedric Yarbrough). But if you’re thinking “sappy,” “tug-at-your-heartstrings,” or “after-school special,” you couldn’t be more wrong. 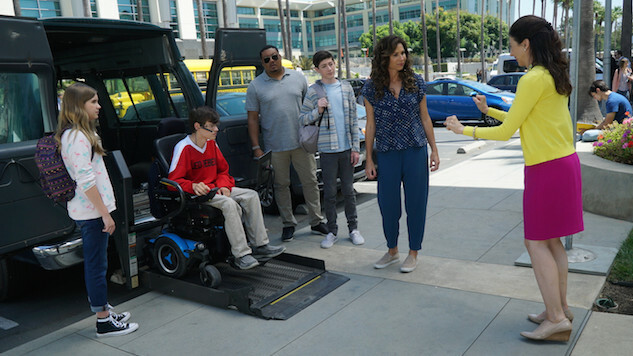 Speechless airs Wednesdays at 8:30 p.m. on ABC.